Building off the success of the NFL Hispanic Heritage Leadership Awards, the NFL, together with the Hispanic Heritage Foundation (HHF) and Nationwide are pleased to announce the launch of the NFL Hispanic Leaders Alliance Presented by Nationwide. 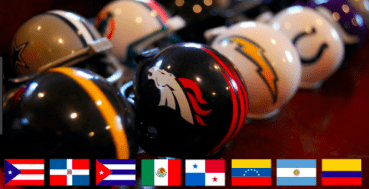 The alliance will feature webinars, events, and continued dialogue to help shape the NFL’s engagement and outreach with the Hispanic community. Together, these groups will work to make a positive and lasting impact on the community. Since 2011, the NFL and HHF have partnered annually for the NFL Hispanic Heritage Leadership Awards. In 2017, Nationwide, official sponsor of the NFL, joined the NFL and HHF to recognize the charitable efforts of Hispanic leaders in all 32 NFL markets during Hispanic Heritage Month. The awards also serve as part of HHF’s award-winning mission to identify, inspire, prepare and position Latino leaders in the classroom, community and workforce. The awards are granted annually during Hispanic Heritage Month, with each award recipient honored at a game or event in their local NFL market. Each recipient selects an organization of their choice that serves the local Hispanic community to receive a donation. To date, more than 200 Hispanic leaders from across the country have been recognized through this program and more than $400,000 have been granted to non-profit organizations. Nationwide’s partnership with the NFL and support of the Hispanic Heritage Leadership Awards and now the launch of the NFL Hispanic Leaders Alliance is the latest in a series of rich and authentic relationships with the Hispanic community, which include partnerships with Latina Style, the Association of Latino Professionals For America, Prospanica and the United States Hispanic Chamber of Commerce. Nationwide also provides resources, support and service to Hispanic consumers and business owners across the country. Previous: CIRQUE DU SOLEIL´S SEP7IMO DIA – NO DESCANSARÉ IS COMING TO MIAMI!